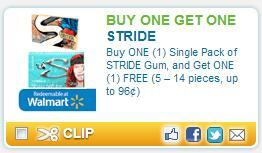 Note: It says redeemable at Walmart, but that’s not a restriction. They’re just hoping you use it there. This is a manufacturer’s coupon, so it can be used at other stores. 2. Then change your zip code to 30303.